When Is Your Senior More at Risk of a Driving Accident? ← How Can You Deal with Hopelessness as a Caregiver? Senior Care Atoka TN – When Is Your Senior More at Risk of a Driving Accident? There may be some specific times and situations that place your senior family member at a greater risk of having a car accident. Avoiding these situations may be as simple as offering alternative transportation to your elderly family member. Your senior may find that his vision isn’t quite the same at night as it is during the day. Even with ample street lighting, it’s just a different driving situation. He may experience similar difficulties at other times, such as dusk and dawn. Tinted windows can amplify issues that he might be having. Some corrective lenses can help with these issues, but the most important aspect is ensuring that your senior has regular eye exams to rule out problems before they begin. One huge concern about bad weather is how it can impact your senior’s ability to see where he’s driving. Like dusk, dawn, and full dark, rain and even drizzle can change how your senior’s eyes are able to see. But it isn’t just visibility. There’s also the fact that rain, icy precipitation, and other weather-related issues can create conditions that are simply difficult to drive in at all. Every city or area has those particular roads that are just difficult to navigate. They may be laid out poorly with difficult turns and frequent blind spots. There may also be routes in your area that are overrun with construction or other issues that affect traffic. These may be areas that your senior needs to avoid either until they’re better or on a more permanent basis. When there are more drivers on the road, that’s just more people who might make a mistake while driving. Your senior might also be more nervous driving around a lot of other people. Avoiding rush hour or extremely crowded roads or times of day can help quite a bit. The key is to reduce stress as much as possible so that your elderly family member isn’t the driver who makes a mistake that leads to an accident. If your senior still needs to go places and these situations are in play, it might be time to find an alternative transportation method for those times. 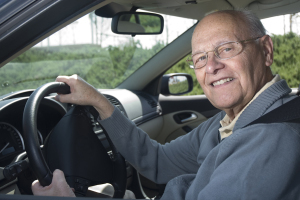 Senior care providers can handle the driving and your senior can still drive during calmer, less risky situations. This entry was posted in Safety at Home, Senior Care Atoka TN and tagged Senior Care Atoka TN. Bookmark the permalink.